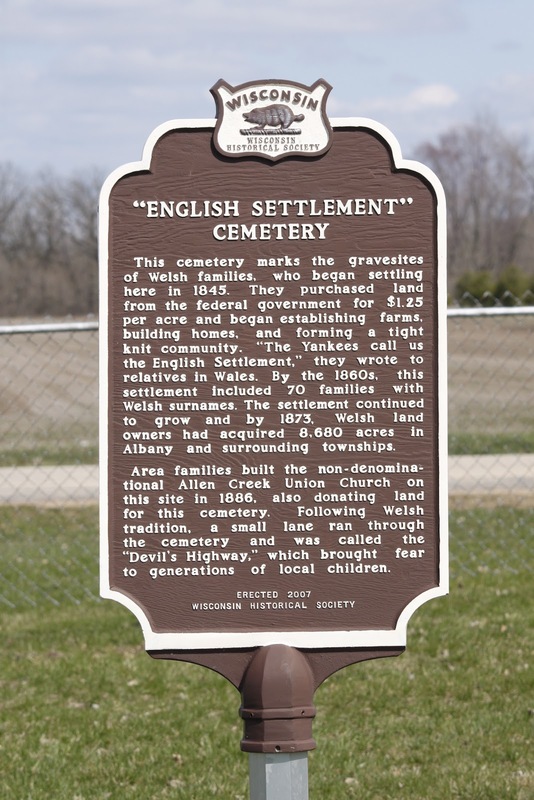 This cemetery marks the gravesites of Welsh families, who began settling here in 1845. 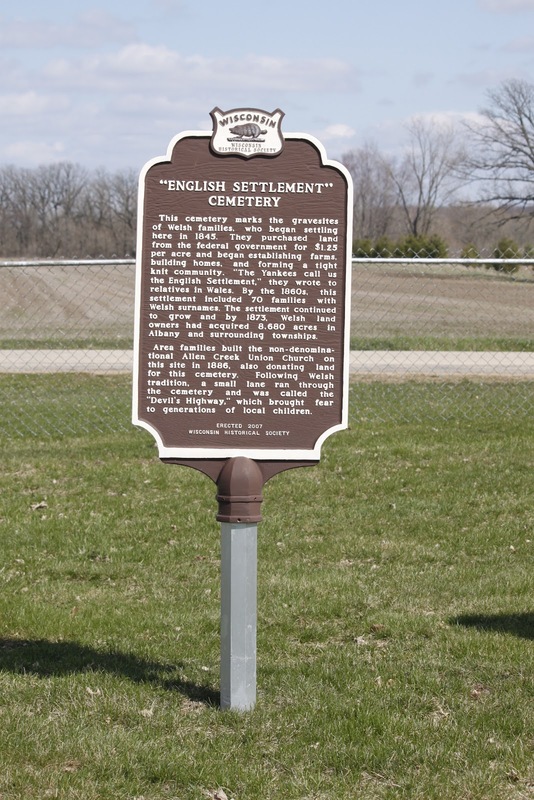 They purchased land from the federal government for $1.25 per acre and began establishing farms, building homes, and forming a tight knit community. "The Yankees call us the English Settlement," they wrote to relatives in Wales. 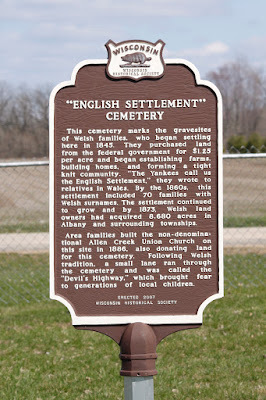 By the 1860s, this settlement included 70 families with Welsh surnames. The settlement continued to grow and by 1873, Welsh land owners had acquired 8,680 acres in Albany and surrounding townships. Area families built the non-denominational Allen Creek Union Church on this site in 1886, also donating land for this cemetery. Following Welsh tradition, a small lane ran through the cemetery and was called the "Devil's Highway," which brought fear to generations of local children. 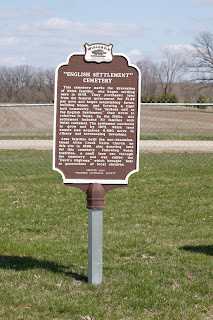 The marker is located at the English Settlement Cemetery on southbound English Settlement Road, one-half mile north of its intersection with Dunphy Road, Albany, Wisconsin 53502. See also, Union Church, also at this location.